Amazon has been making an effort to interest app developers, especially game developers, in their distribution platform lately. As has been mentioned here in the past, their GameCircle will allow for all sorts of social features to be integrated into just about any game without much trouble. Before this, many of the more popular Android games were unable to make use of their full feature set because of the Kindle Fire’s disconnection from Google services. Moving forward along the same lines, Amazon has released plugins for the popular Unity game engine that should make it easier than ever for developers to add some in-app purchasing to their productions and build GameCircle into their games. There are a number of reasons that this will be attractive. According to the press release regarding these plugins, in-app purchasing averages more than twice the revenue generation of paid app sales per transaction. Developers who can interest their users enough to encourage the occasional purchase will benefit from ongoing sales and therefore enjoy a fairly nice stream of income. The GameCircle features help with this. 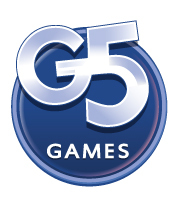 GameCircle’s main attractions are Leaderboards, Achievements, and Whispersync for Games. The first two are easy ways to nudge players into spending more time immersed in the app. More exposure and more personal time investment means more likelihood of making a casual purchase. The latter feature, Whispersync for Games, encourages use of multiple devices and allows players to pick up where they left off even if they delete local data. That means that there is a far lower bar to replay should somebody be interested in running through their favorites a second time. This will be both good and bad for the players, but mostly good. By bringing these features to the Kindle Fire, Amazon has finally provided all the tools that developers will need to properly prepare their apps for distribution via the Amazon Appstore for Android. This will lead to more games, and apps in general, being made available for the Kindle Fire. Whispersync for Games should go a long way to encourage quality game design as well. Since there is reason to hope that users will keep coming back now that their progress and achievements can be saved even after deleting an app temporarily, there is more reason to provide ongoing support and updates. Of course the ease with which in-app purchases can be offered also means a slew of new apps meant to do nothing more than milk microtransactions out of every user. These types of lazy designs are a big presence on Google Play, but there’s been nothing keeping them away from Amazon aside from the extra effort it would take. I’m not referring to the genuinely malicious software, of course, but even the merely bad can be obnoxious to watch out for. Expect to see more games with more features springing up in the months to come thanks to these plugins. Kindle Fire magazine apps haven’t really had the best reviews overall because they either don’t show all of the content that consumers want, or they are clunky. I think this situation is about to change as more top rated apps appear to nudge others to make the improvements. One of those top notch apps comes from USA Today. USA Today recently added an app optimized for the Kindle Fire. The rich text and graphics that go along with USA Today sets the example for what a top quality Kindle Fire App should look like. USA Today is free. It can’t get any better than that. It is also available on just about all mobile devices, the web, and in print. USA Today is national daily newspaper that is printed every weekday. It covers every topic under the sun: politics, economy, life, entertainment, weather, technology, and the latest headlines. If you want the latest news going on all over the world, this is your newspaper. On Fridays, check the newspaper for entertainment ideas for the weekend. Right now, the biggest headlines are the upcoming election and the wrap up of the war in Iraq. The Kindle Fire’s vibrant display fits perfectly with the pictures and videos that go along with this app. Good apps go a long way in enriching the reading experience for magazines and newspapers. If you own a Kindle Fire and enjoy reading magazines, you’re in luck because Amazon is offering a 90 day free trial on select popular magazines. You can find these magazines on the Kindle Store homepage. The collection includes health, beauty, men and women, sports, teens, and technology. Wired is a hit technology focused magazine that includes the latest gadgets, as well as innovative ideas that will shape the future. The magazine takes a broader approach with articles spanning across subjects such as science, philosophy, adventure, and online culture. It is a great magazine for those who are familiar with technology and want to stay on top of the latest trends. The reviews run from one end of the spectrum to another. As one reviewer said, it is free for three months, so it can’t hurt to give it a shot. SELF is a diet and fitness magazine that that includes a variety of good workouts, and healthy recipes. It also includes beauty tips and other real life advice. When I’ve read the magazine, I’ve enjoyed what they have to say. The stories that resonate the most with me are the personal weight loss success stories. SELF is a good motivational tool to jump start the rush of New Years resolutions that involve getting healthy and fit. 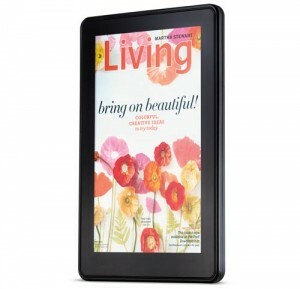 The benefit of the Kindle Fire version over the print is that it includes interactive content, such as videos. Both Wired and Self, as well as a Glamour, GQ and a few others, are Kindle Fire apps, as opposed to magazines that are purchased in the Newsstand. The apps are more interactive, but require a different log in than the Newsstand magazines. They have room for improvement, but the good thing is that apps are updated regularly. The New Yorker is a Newsstand magazine, and the 90 day free trial is open to all Kindle owners. There is an interactive edition for Kindle Fire owners. The award winning magazine includes topics such as politics, world affairs, business, science, and the arts. There are a mix of articles, poetry, and cartoons. This is a weekly magazine. Architectural Digest is the go to magazine for architects and interior designers. It includes designs from top architects and provides a peek into the homes of “celebrated personalities” as Amazon puts it. The pictures and graphic heavy nature of this magazine works best with the Kindle Fire. The good part for print subscribers is that you can sign up for access the the digital editions for free. That is the way is should be! The Kindle editions can serve as a more portable alternative to the print editions. With the reviews so all over the place and some magazines working better than others, I am eager to see what more people have to say about them. There is still a lot of work to do to make magazines work seamlessly on the Kindle, but they will improve over time as the Kindle platform gets better and better.